Equinox is one of the fitness industry’s top gym chains. It has a total of 92 gyms around the U.S. and a few branches in Canada and London. Its main headquarters is in New York, where it has 36 facilities scattered throughout the city. Equinox is known for its luxurious facilities and high-end services. What sets it apart from other gyms is the extravagant experience it offers. Equinox has an eye for detail in assuring all its members’ needs are seen to. The first Equinox gym was started in 1991 by the Errico family after they realized the need for high-quality gyms in their neighborhood. They opened their first gym at Amsterdam Avenue and 76th Street in Manhattan. Equinox is recognized internationally as a top authority in luxurious fitness. It has partnered with several prominent organizations in its campaign to promote health and wellness. Equinox was also recognized by Men’s Health as the best “Big Box Gym” in 2015. Equinox’s main center is at New York, with 27 branches in Manhattan and more throughout Brooklyn, Long Island, and Westchester. Operating hours are at 5:30AM – 11:00PM, Mondays to Thursdays, 5:30AM – 10:00PM on Fridays, and 7:00AM – 9:00PM on weekends. Benefits Of Joining Equinox / Why Members Like Equinox? What sets Equinox apart from other gyms is the complete experience it presents to its members. It has an extensive and high-quality collection of exercise equipment and offers different fitness classes to its members. Members can relax at the spa after a workout and get a snack at the snack bar. The facilities, amenities, and wide array of activities show how Equinox cares for its clients and makes sure that they get the best experience possible. Members are well accommodated by highly-trained coaches with different specializations. These trainers are efficient when it comes to personalizing training regimens for members. Clients can maintain their regular training routines even after switching branches by having their previous trainer contact their new trainer. A session with a personal trainer at Equinox can cost between $110 to $160 per hour. Equinox requires that all trainers undergo training at the Equinox Fitness Training Institute, which makes sure that they attain proper education in fitness training. The locker rooms they provide are spacious and secure. The showers are clean and well-maintained. Temperatures in the room is mild to allow gym goers to cool off after workouts. Members are also treated to free toiletries. Equinox clubs are filled with high-end and high-quality equipment that are organized to allow gym goers easy access and for trainers to plan out their routines better. There is also a wide variety of equipment for weight training, cardio, calisthenics, and more. The staff are approachable and ready to answer client’s needs. Equinox caters to crowds of all ages who are willing to adopt a lifestyle of health and fitness. Most clubs are never too crowded. Interested gym goers can visit any time of the day, as there are equipment and trainers readily available, and personal sessions can be scheduled any time. Equinox is inclusive of different crowds, with its own specialized learning and fitness programs for kids. Except for the showers and locker rooms, facilities are open to both men and women. The initiation fees for members are at $200 to $300, while monthly rates are at $160 to $250. Cancellation fees depending on membership type can range from $214 to $219. Equinox offers no discount promos for making upfront payments, nor for couples or seniors. Their fees stay the same for all age groups. They do offer discounts to employees of partner companies. 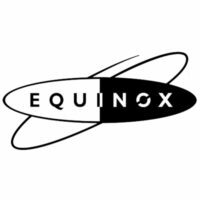 An Equinox membership entitles members access to only one club, and membership must be canceled before transferring to another. Members can pay at any Equinox club or facility. Their membership fees entitled them to free access to classes and the pool. A guest pass entitles potential clients to one week of open gym use and may be availed of from the Equinox website or from members. A minimal fee of $10-$40 may be incurred, depending on the guest’s location. The guest pass also serves as a trial membership for those interested in obtaining full membership. Equinox occasionally offers trials to members for access to higher facilities, with costs depending on membership type. Equinox clubs host a wide array of luxurious amenities and facilities, including pools and studios for different classes. Showers and locker rooms have all the necessary features members and guests need. A spa and snack bar are ideal for post-workout relaxation. Gym equipment include treadmills, studio bicycles, and stair machines for cardio. Weight conditioning areas feature a collection of weights, plates, and racks. Additional equipment are exercise balls, boxes, ropes, and punching bags. Complete services include personal or individualized training, open gym access with trainer supervision, and pool access. Members can avail of spa treatment and buy healthy food options at the snack area. Class fees are included in the membership fees. The classes members can avail of include martial arts, boxing, conditioning, Pilates, running, yoga, athletic training, and dance.